To avoid frustration and burnout, make sure you align your motivation with your skills set. If you have high motivation and low skills, you should focus on developing your Tableau fundamentals. People often get frustrated and give up when they don’t align their motivations and skills. 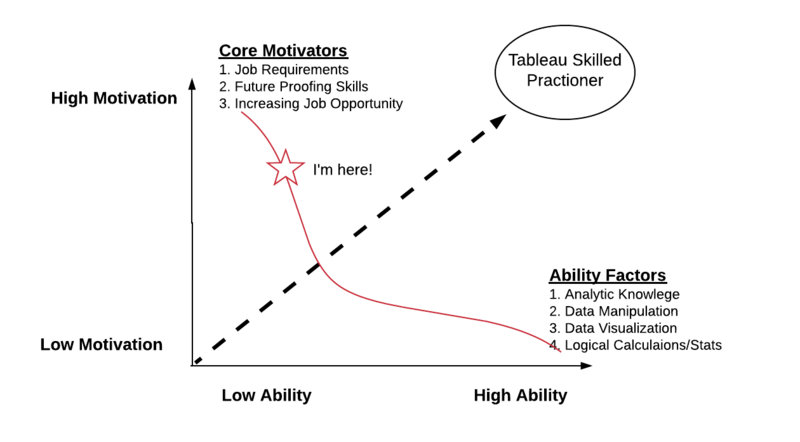 Ask yourself what’s the goal of learning Tableau. If you find yourself in the low motivation and low skill, you might find that a certification is a good trigger to alter your behavior. You should also jump in and try the software with the Public version. Then you may discover if you actually need deeper skills. Learn the differences between Pubic and Desktop Version of Tableau. Take a Self Paced Course to improve at your own pace. Utilise Tableau Community to eliminate friction when you are stuck. Take a Structured Academic Course to keep consistency. Use Certifications to retain motivation. Trigger a behavior change by joining a sharing your knowledge. Download datasets from Kaggle and Data.gov and create trends, relationships, and insights. Use Workbooks on Tableau Public and try to mirror the visualizations. Focus on advanced calculations, animations, forecasting. I have taken 4 Tableau courses at Udemy. These classes range from excellent to retreads of existing content online. These videos are made by practitioners and allow you to complete tasks step by step. These videos allow you jump into the platform and follow along. This class moved my knowledge from a 0 to 100 in a matter of days. This is the most efficient and effective online course in Tableau. I find myself constantly going back to it to cover the fundamentals and for tips. Who is the course designed for? People with basic practical knowledge of Tabeleau. ( High Motivation and Low Skill). Excellent instructor which walks you through practical examples. Ratings on the platform: 4.5 out of 5 stars from 453 reviews. Challenging practical data sets that allow you to solve a business problem. Completion time: 2 weeks if you are dedicated. Coursera– This is a great online platform where top universities classes are offered. There is a very high standard with academic rigour. So as in any academic environments, there is homework, tests and peer review. Ratings 4.6 out of 5 from 200 reviews. Tableau is a a powerful program that can build amazing visuals that rival art. However, first and foremost this platform was designed to communicate data insights through visuals. It’s important to focus on developing your analytics skills and ploughing for insights. 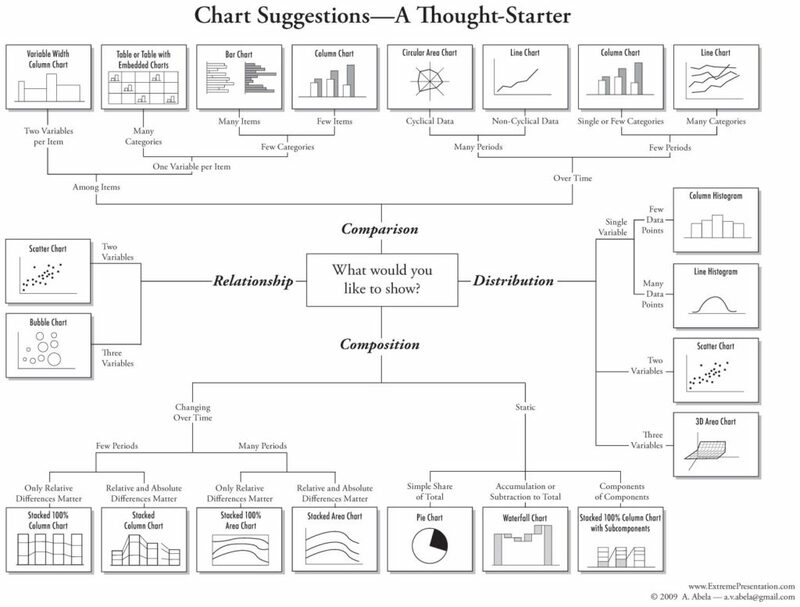 Charts and diagrams should be selected for effectiveness. Don’t get lost trying to make things pretty. Tableau does a wonderful job in limiting the user from selecting charts that are not in line with visual best practices. However, when you are creating your dashboards, you can use Abela’s Visual Chart Selector to guide you. If you are stuck on how to create a visualisation, there are wonderful communities filled with data scientist, hobbyist and visual data artist. Lean on these communities for support. Google is great for hunting for clues. However, I find that my problems can be answered instantly in these communities. Some people learn better from books. Luckily, there are a lot of good resources in print for Tableau. The key would be to select a book that is current and allows you practice your skill on the latest version Tableau. One of the best technical publisher is Oriely Press. Here is a list of great books that will help you learn tableau quickly.